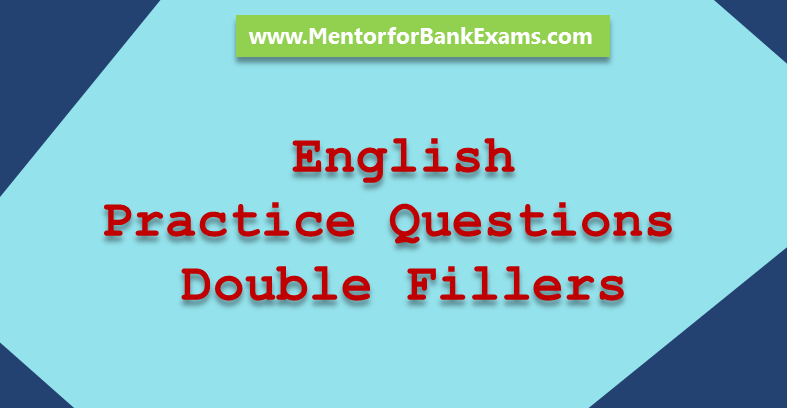 Welcome to Mentor for Bank Exams English Language Quiz Section. The following quiz covers Reading Comprehension (10 Questions), Cloze Test (10 Questions), Sentence fillers (5 Questions). All the best for upcoming IBPS Exams 2017. 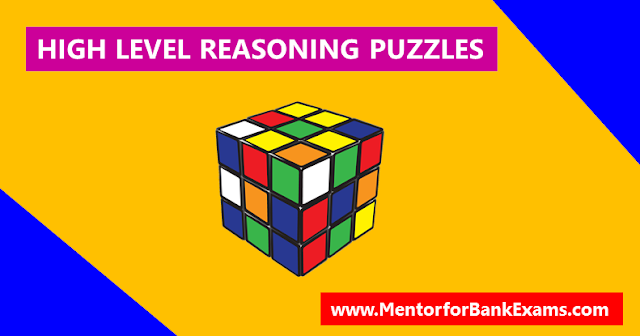 Welcome to Mentor for Bank Exams Reasoning Ability Quiz Section. 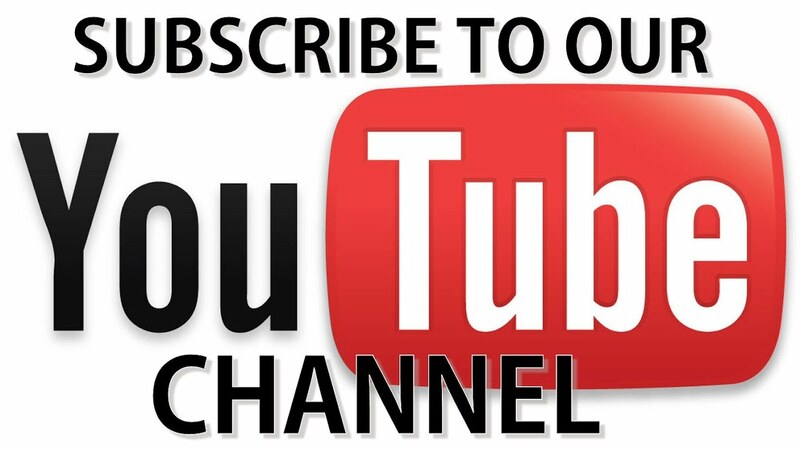 The following quiz covers Puzzles (6 Questions), Coding and Decoding (5 Questions), Syllogism (5 Questions) Directions (2 Questions) and Blood Relations (2 Questions). All the best for upcoming IBPS Exams 2017. 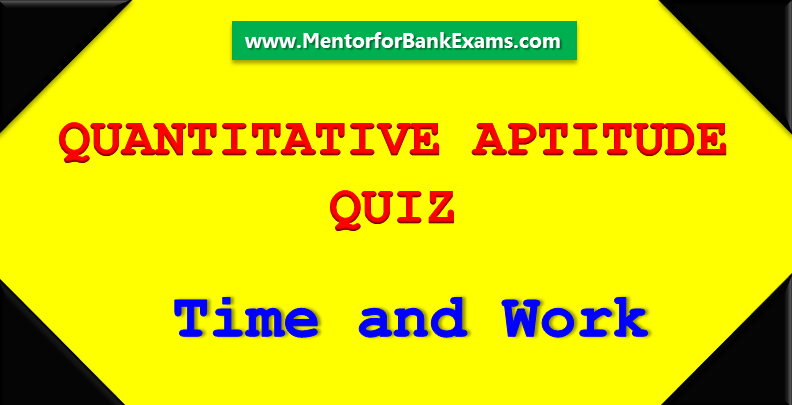 Welcome to Mentor for Bank Exams Quantitative Aptitude Quiz Section. The following quiz covers Quadratic Equations (5 Questions), Simplifications (5 Questions), Data Interpretation (5 Questions) and Word Problems (5 Questions). All the best for upcoming IBPS Exams 2017. Direction (1 – 5): In the following passage there are blanks, each of which has been numbered. Find out the appropriate word in each case. Directions (1 – 5): Study the information carefully and answer the questions given below. Ten students P, Q, R, S, T, U, V, W, X and Y have joined the banking preparation class in an institute. There are two classes which are schedule in a month on 12th and 27th. Months are January, March, April, May, and June. Each person going for a class in one month and one date only. 1. A and B can complete a certain piece of work in some days individually. A is 4 times as efficient as B. They have together done the work for 10 days then A leaves, B works for 2 more days. Total 75% of work is completed in this way. In how many days can A finish the work alone? 1. Sailesh worked for 2 hr and then Mahendra joined him. Sailesh then worked for four more hours and then left the work. After Sailesh left, Mahendra took another 20 hr to complete the remaining work. If both of them work together they can complete the work in 18 hr. How many hr will Sailesh and Mahendra take respectively to complete the work if they work separately? 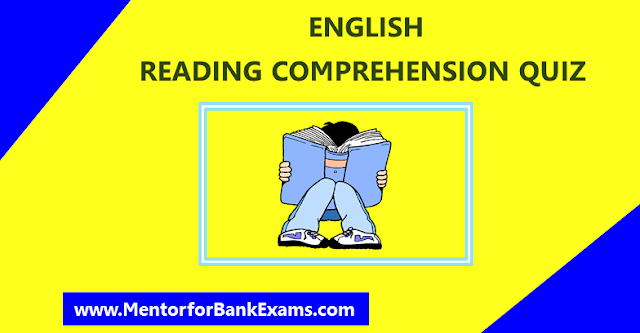 Welcome to Mentor for Bank Exams English Language Quiz Section. The following Quiz covers Reading Comprehension (10 Questions), Cloze Test (10 Questions), Error Deduction (5 Questions). All the best for upcoming IBPS Exams 2017. Welcome to Mentor for Bank Exams Reasoning Ability Quiz Section. The following quiz covers Puzzles (10 questions), Inequalities (5 Questions), Directions (2 Questions), Blood Relations (3 Questions). All the best for upcoming IBPS Exams 2017. Welcome to Mentor for Bank Exams Quantitative Aptitude Quiz section. 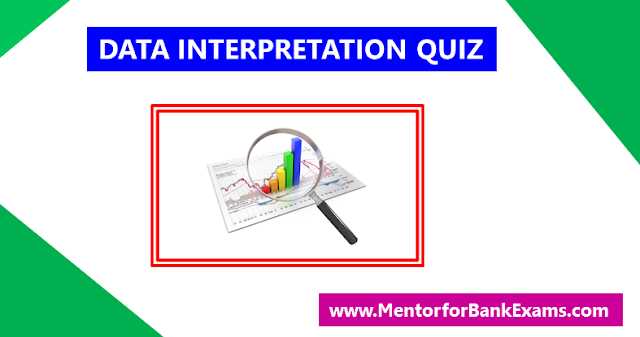 The following quiz covers Number Series (5 Questions), Simplifications (5 Questions), Data Interpretation (5 Questions), Word Problems (5 Questions). All the best for upcoming IBPS Exams 2017. DIRECTIONS (1 – 10): Read the following passage carefully and answer the questions given below it. Certain words/phrases have been printed in bold to help you locate them while answering some of the questions. Directions (1 - 5): In each question below are three statements followed by three conclusions numbered I, II and III. You have to take the three given statements to be true even if they seem to be at variance from commonly known facts and then decide which of the answers (a), (b), (c), (d) and (e) is the correct answer and indicate it on the answer sheet. 1. A, B and C started a business. A’s investment is 2 times of B’s investment and B’s investment is 5 times of C’s investment. Find the profit of B in the total profit of Rs. 25600. Welcome to Mentor for Bank Exams English Language Quiz section. The following quiz covers Reading Comprehension (10 Questions), Cloze Test (10 Questions), Sentence Rearrangement (5 Questions). All the best for upcoming IBPS Exams 2017. Welcome to Mentor for Bank Exams Quantitative Aptitude Quiz Section. The following covers Number Series (5 Questions), Data Sufficiency (5 Questions), Data Interpretation (5 Questions), Word Problems (5 Questions). All the best for upcoming IBPS Exams 2017. 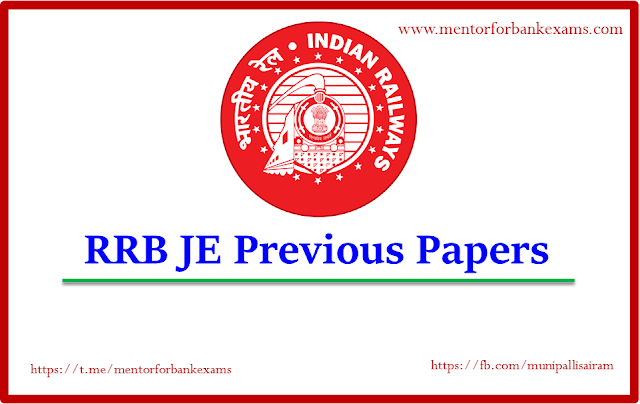 Welcome to Mentor for Bank Exams Reasoning Ability Quiz section. The following quiz consists of Puzzles (10 Questions), Coding and Decoding (5 Questions), Syllogism (5 Questions). All the best for upcoming IBPS Exams 2017. Directions (1 – 10): The following sentences each contain two blanks, indicating that something has been left out of the sentence. Each answer choice contains one word or a set of words. Select the word or set of words, that, when inserted in the blank(s), best fits the context of the sentence. 1. Mayur weighs twice as much as Shweta. Shweta’s weight is 60% of Deepika’s weight. Rakesh weighs 50% of Vikas’s weight. Vikas weighs 190% of Mayur’s weight. Which of these people weighs the least ? Eight persons Rahul, Virat, Ravindra, Suresh, Mahendra, Virendra, Yuvraj and Sachin are sitting around a circle table. Four of them are facing towards the centre and four of them are facing outside from the centre. All of them work in eight different companies viz— Reliance, Mahindra, TCS, IBM, Infosys, Wipro, Google and HTC but not necessarily in the same order. Virendra faces towards the centre and works in IBM. Both the immediate neighbours of Virendra face outside from the centre and works in Wipro and Reliance. Mahendra faces ouside from the centre. Mahendra faces outside from the centre. Both the immediate neighbours of Mahendra face the centre. Virendra sits third to the right of Rahul who works in Mahindra and faces outside from the centre. Suresh sits third to the left of Rahul. The one who works in Wipro sits opposite to Rahul. The one who works in Infosys is not an immediate neighbour of Rahul and faces outside from the centre. 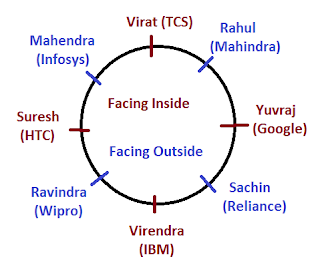 Virat sits second to the left of Suresh and does not work in Google or HTC. The one who works in Google sits between Sachin and Rahul. Ravindra faces outside from the centre and does not work in Infosys. 1. Which of the following statements is/are true ? (a) Sachin faces the centre. (b) The one who works in IBM sits opposite to the one who works in TCS. (c) Suresh works in Google. 2. Four of the following five are alike in a certain way and so form a group. Which one does not belong to that group ? 3. Who amongst the following sits second to the left of Suresh ? (a) The one who works in IBM. (b) The one who works in Reliance. (c) The one who works in Google. (d) The one who works in TCS. 4. Who amongst the following works in Google ? 5. What is the position of Yuvraj with respect to Ravindra ? 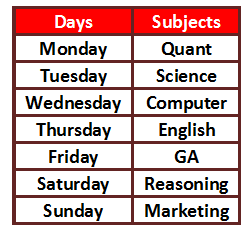 A faculty teaches seven subjects—Reasoning, Quant, English, GA, Computer, Science and Marketing during a period of Monday to Sunday, one subject on each day but not necessary in the same order. The subject English is taught at least before three subjects. The subject Science is taught on Tuesday. Both the subjects Quant and Computer are taught at least before one subject. The subject GA is taught immediately after the subject English. At least four subjects are taught after the subject Computer. There is one day gap between Quant and computer subjects. Three subjects are taught between computer and marketing. 6. How many subjects are taught after the subject GA? 7. How many subjects are taught after the subject Science? 8. The subject Marketing is taught immediately after the day? 9. If X is the person who attend the class which is taught on Wednesday, then the subject learn by him is? 10. Four of the following five are alike based on the arrangement which one does not belong to that group? Directions (6 – 10): Study the following information carefully and answer the given questions. Nine players Kimi Räikkönen, Jenson Button, Daniel Ricciardo, Valtteri Bottas, Fernando Alonso, Max Verstappen, Lewis Hamilton, Sebastian Vettel and Nico Rosberg stay in a building. The building has nine floors and only one player stays on one floor. Each of them won different Grand Prix namely- British Grand Prix, Austrian Grand Prix, Canadian Grand Prix, Hungarian Grand Prix, Chinese Grand Prix, Russian Grand Prix, Australian Grand Prix, Monaco Grand Prix and Spanish Grand Prix and Each player belongs to different country, i.e. Russia, Spain, Hong Kong, Japan, USA, Germany, UK, Australia and Argentina but not necessarily in the same order. The ground floor is numbered 1, the floor above it is numbered 2, and so on, and the topmost floor is numbered 9. The one who belongs to Australia stays on the 4th floor. There are 4 floors between the floors on which Valtteri Bottas & Lewis Hamilton stay with Valtteri Bottas living above Lewis Hamilton. Daniel Ricciardo stays on the floor immediately above Sebastian Vettel's floor. The one who won British Grand Prix stays on an even numbered floor and is a neighbour of the one who won Austrian Grand Prix. Nico Rosberg does not belong to Spain. The one who belongs to Russia stays on the topmost floor. The one who won Australian Grand Prix stays immediately below the one who won Chinese Grand Prix. Fernando Alonso won Monaco Grand Prix. Max Verstappen belongs to USA and stays on 8th floor. There are 3 players between the one who won Hungarian Grand Prix and the one who won Monaco Grand Prix. There are two floors between the floors on which players from Argentina and Australia stay. Fernando Alonso stays immediately below the floor on which the player from Japan lives. The player who won Russian Grand Prix belongs to Spain and stays on an odd numbered floor. Nico Rosberg stays on the bottommost floor. The player who won Canadian Grand Prix is from Japan and stays on 6th floor. The player from UK stays on 2nd floor. The players from Germany and Spain are not the neighbours of the player from Japan. Valtteri Bottas won Austrian Grand Prix and Lewis Hamilton does not won British Grand Prix. Jenson Button does not live below the floor of Kimi Räikkönen. 11. How many players sit between Lewis Hamilton and the one who won Hungarian Grand Prix? 12. Which of the following players sits exactly between Nico Rosberg and the one who won Spanish Grand Prix? 13. Who lives in the Third floor? 14. Canadian Grand Prix won by which of the following player? 15. Which of the following combinations is true?